Wild about Travel: What happened to the Airbus A330 that went down in 2009? 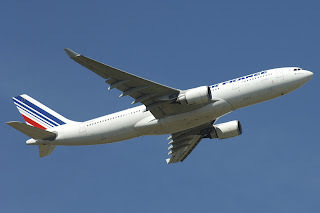 What happened to the Airbus A330 that went down in 2009? As a very frequent flyer with 752 take offs and 752 landings now, I am particularly keen to keep the number of my landings the same as the number of take offs. Any investigations, therefore, into plane crashes interest me. Call me morbid or possessing an active self preservation interest? The aircraft pitot tubes (used to determine the airspeed of an aircraft) failed and began giving false/inconsistent readings (as has always been suspected and why airlines have been replacing this type of pitot tube). The false reading was for less than a minute. the stall warning was triggered and the plane stalled (BEA) but„ the inputs made by the PF were mainly nose-up (BEA). In other words, the pilot kept trying to take the plane up but "The A330's angle of attack is too high, and the aircraft is losing the battle to sustain lift, as demonstrated by the stall alarm, yet the pilot is still keeping the nose pointing upwards - in apparent contradiction to a basic principle of flight: escaping a stall requires the nose to be pushed down, in order to regain a smooth, fast airflow over the wings." On Air France 447, all three pilots were all very experienced. Why did they commit such a mistake? And what would stop another experienced crew making the same mistake. 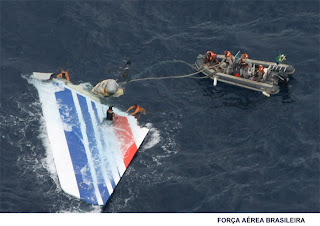 Plane crash info which gives you information on what causes plane crashes and why you should avoid commuter airlines! Pilot error represents 50% of all accidents and commuter lines generally use way less experienced pilots. The accident rate for fatalities per million hours is almost three times greater for commuter flights than for regular mainline airlines. Not sure what my conclusions are yet out of this. I imagine the scenario will be repeated a few times in simulators. The question is would other pilots in the same situation repeat the same mistake and stall the craft? Not very comforting!! Makes me wonder if drivers had as much training as pilots, think how much safer our roads would be! Looks like improvements to pilot training (to an international standard) is needed. Do you think pilots do not know about stall situations?,do you really think they mistakenly pointed the nose upwards?This way it is all simply pilot mistake and end of the problem. This plane obviously could not go down nose first, that is why they went full power trying to avoid the stall. And it happened already in the caribeean remember? with a different model of Airbus,but people dont know about models, so you can say it is the first time it happens. I am not suggesting that pilots do not understand stall situations. Thats why i ask the question why did the pilots make such a mistake? The official enquiry said it was a significant error. A simple pilot mistake and end of problem is not good enough though. As a passenger a simple pilot mistake could have me in the bottom of the ocean. I dont want that. We need to make sure firstly that no pilot repeats the mistake, Secondly, if there is a design error or fault with the aircraft that needs to be checked and corrected.